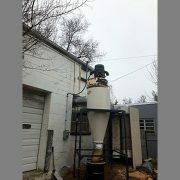 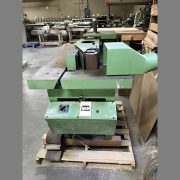 Used Machines – Boshco-Dustek, Inc.
Used Pistorius UC-LH-14 upcut saw, 5HP 3-phase 220v motor, one carbide blade, 6ft infeed roller conveyor, outfeed stop bar, overhead guard, magnetic control, cleaned and checked. 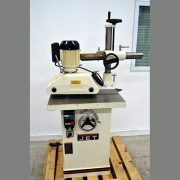 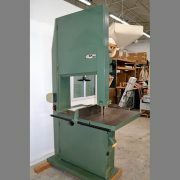 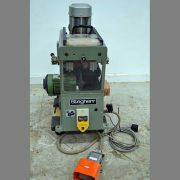 Used Jet model JWS 34L shaper, 2HP single phase 230v motor, magnetic on/off control, reversing switch, 22in x 25in table, adjustable fence 1in spindle, one carbide cutter, Jet three-roll feeder with 1HP 3-phase 230v motot, cleaned and checked. 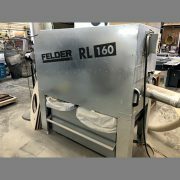 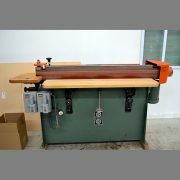 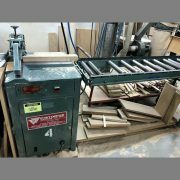 Used Crouch model 245-56, 6in oscillating edge sander, SN 030693, 5HP 3-phase 230v sanding motor, 1/2HP oscillation motor, two magnetic on/off controls, one 12″ x 56″ side table, one 15″ x 24″ end table, dust hood with 5.75″ diameter port, assorted sanding belts, cleaned and checked. 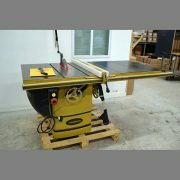 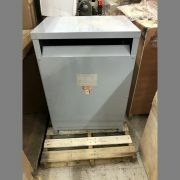 Used Powermatic model PM3000, 14″ table saw, SN 30800175, 7.5HP 3-phase 230v motor, magnetic on/off control, 5″ thickness capacity, 38″ x 48″ main table, blade guard, one carbide blade, rip fence with 52″ rip capacity, mobile base, mitre gauge (not shown), cleaned and checked.